It’s that time of year to think about scheduling an AC tune up in Burlington. If you’re already on a maintenance plan with your HVAC (heating, ventilation, and air conditioning) company, good for you. You know that regular maintenance is important if you want an efficient, well-functioning heating and cooling system. If you have not had maintenance performed recently on your system, now is a great time to start. Air conditioning experts recommend yearly maintenance for best performance. Scheduling an AC tune up is easy and the service call itself is always very quick when you are a customer of Alamance Oil – the leaders in AC repair in Burlington. Energy-efficient Performance. When your AC is in top condition, it runs more efficiently. This means it uses less electricity to cool your home, which gives you a much lower electric bill during the cooling season. Fewer emergency repairs. Maintenance includes inspecting, cleaning, and repairing the parts of your air conditioning unit. Any parts that are wearing out will be repaired or replaced. Moving parts will be lubricated to prevent excessive wear. All parts are thoroughly cleaned and filters are replaced. All of these steps help to prevent your AC from breaking down or needing repairs during the cooling season. Longer system lifespan. Like a car, a properly maintained cooling system will last longer. Heating and air systems are expected to last 10 to 20 years, but only with proper maintenance. Without it, your system will break down more often, require more frequent repairs, and fail altogether much earlier. Priority Service. In the unfortunate event that you do need to call for repairs, you will be placed on the top of the list and we will get to you as soon as possible, ahead of anyone who is not on our maintenance plan. You’ll get the fastest and best AC repair in Burlington. Discounted Diagnostics and Repairs. We offer a 20% discount for diagnostics and repairs to our customers who are on a maintenance plan. If you do need us to come out and diagnose and repair a problem, it will cost you 20% less than it would if you were not a maintenance plan customer. No Emergency Repair Fees or After Hours Fees. When you are a maintenance plan customer, we will waive our emergency or after hours fee. 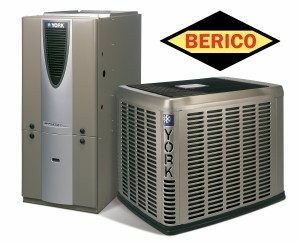 So you get the best in AC repair in Burlington, day or night. Bonus Bucks. Each year that you are on a maintenance plan with Alamance Oil, you earn $50 in loyalty credits toward new equipment. So if you’ve been thinking about replacing your old system, you can use your loyalty credits toward the new system. When you sign up for our Comfort and Protection Service Plan, you are putting a plan in place to make sure your HVAC system runs smoothly with absolutely no effort on your part. You don’t have to try and remember to schedule service; we will contact you. You don’t have to worry that your air conditioner will break down on a hot day and you’ll be sweating it out while you wait for AC repair in Burlington. And our Comfort and Protection Service plans include maintenance for your furnace as well, and can include discounted propane or heating oil delivery if your furnace uses one of those fuels. One company can serve all of your heating and cooling needs: Alamance Oil. Schedule service or call for an AC tune up in Burlington at (336) 496-2509.